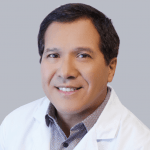 Dr. Rodolfo Gari Talks Taking Pain Medication: How Much Is Too Much? Cyndi: Many of have been there. We go to a doctor for whatever may be ailing us and we walk out with a prescription. Some of you may be taking a long list of medications right now, but how much is too much? 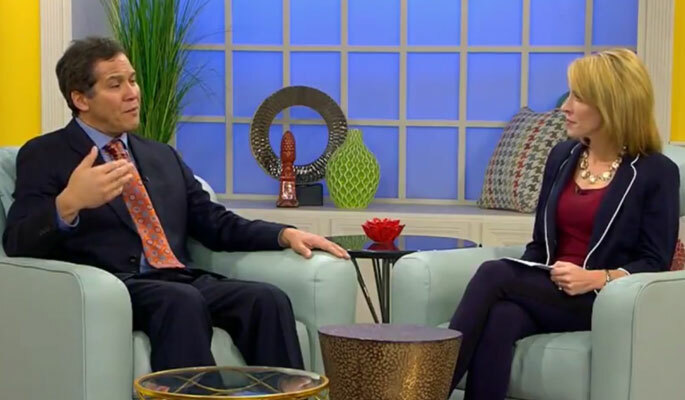 Dr. Rudy Gari from Florida Pain Relief Group joins us now to help answer that question. Dr. Gari, great to have you back. Cyndi: So there are a lot of people right now who are on medications their doctor has prescribed, and they are taking some over-the-counter medications as well. How do they know what’s working? Dr. Gari: Well, there are many times where they don’t know. And so, for example, there is something in medicine called hyperalgesia, and we see that a lot in pain management. And what that means is that sometimes pain medications in and of itself causes pain, because you’re taking way too much of a medication, your body gets used to it. There are different receptors, and once you have saturated those receptors so much, it becomes counterproductive. So that’s one of the things. We often have to do what’s called an opioid rotation, where we switch the medication from a certain type to a different medication, and a lot of times we can lower it in half and get better pain relief. Cyndi: Well, is there a test that can be taken to see how effective medicines are for certain people, for certain ailments? Dr. Gari: Absolutely, and it’s a test that we provide to all of our patients because we believe in that. And it’s called pharmacogenomics. Pharmacogenomics is a very exciting test. I believe that it’s the way of the future and I believe every physician’s office will be offering this. And what it does is that it looks at your unique genetic makeup and how your own body metabolizes those medications. And we’re all different. So that’s the first thing that we do is, you know, you might be taking medications that you had to take 10 times more than you will. And sometimes it’s the reverse. Your body can be very susceptible to medications. For example, codine. We know that the FDA issued a box label warning against hypermetabolizers of codine, because codine gets converted to morphine, and there were actually, like, five kids that died from tonsillectomies. Dr. Gari: Just regular codine, normal doses, but they overdosed because their genetic makeup was such that they ended up producing a lot more morphine from the codine than normally would happen. Cyndi: Do some pills cancel each other out? Dr. Gari: Yes, yes, absolutely. They do. So we have to look not only at your genetic makeup and how it metabolizes, we have to look at how the medications work on your body and how they interact with each other. Cyndi: Is there a type of miracle pill out there that can help all pain? Dr. Gari: I think in the future we’ll have one. Not today, though. No. Cyndi: So for people who are taking a lot of different medications right now, first of all it’s not healthy, is it, to be mixing all different pills? Dr. Gari: Well, it’s not good at all, Cyndi. I mean, there are side effects with each medication, and those side effects become exponential, so that if you’re taking three of those pills, the side effects may be like fivefold instead of threefold because they interact with each other, and they counteract each other and they make things worse. So one of the things a doctor has to do, especially if they’re coming in for whatever it may be, we have to look at all of the medications that you’re on and determine which ones you may no longer need, or substitute a different medication for one that you’re taking that works better for you. Cyndi: So the goal of the Florida Pain Relief Group is to get you off as many of those medications as possible, right? Dr. Gari: We want to get you to what you were before you started taking the pills, as much as possible. Cyndi: That is music to a lot of people’s ears. Dr. Gari, thank you very much. You can visit their website, to schedule your same-day appointment. Give them a call today. We’ll be right back.